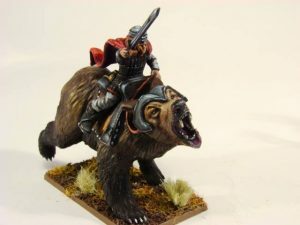 Now available to order – a single Hellesburne warrior mounted on a ferocious gigantic bear! This is a multi-part metal miniature which requires assembly. Supplied unpainted. Includes wooden base.